Dan Pool (dpdp) added a comment to T57918: Left Click Select tweaks and fixes. Dan Pool (dpdp) added a comment to rB14884cda1ff5: Gizmo: move transform to a persistent option. with none of the active object options selected, but Active Object enabled. Once you select one of the Move/Rotate/scale options, there's no way to return to the original state of having them all off without turning off the Active Object option entirely. Can we have the three buttons (Move/Rotate/Scale) be independent on/off toggles rather than the current radio button behavior? Dan Pool (dpdp) added a comment to T63419: Add Select to Drag Action menu. Agreed. This should be unified across operators and the option tweak added where applicable. Yup it is a standard, but it's not only good for the VSE. It's great to have all of your animation playback and scrubbing keys right there under the i key (the default add keyframe key in blender). Try scrubbing back and forth and stepping through frames using the keys as I described above in resolve or premiere. It's also really nice to go from playing forward to playing backward directly without having to pause first. This is great for troubleshooting animations. It would be nice if a shift (or Ctrl) drag duplicates in all transform modes and if spacebar toggled between box select and drag behavior for all of the tools. This would replicate 3ds Max’s Lock Selection behavior which I’ve always been a fan of. Dan Pool (dpdp) awarded T57918: Left Click Select tweaks and fixes a Love token. Dan Pool (dpdp) added a comment to T57208: 3D Cursor Tool Todo. I don’t understand why such a huge portion of the screen is meant to remain blank. It makes perfect sense to have properties associated with the tool available in the top bar. Many programs use this area in such a way. Blender seems insistent on hiding settings in so many places that the user is required to hunt around the interface for related tools and settings. If a convenient space exists, why leave it empty for most tools? Given the virtual lack of utility, the top bar makes very little sense; it is simply wasted space. Dan Pool (dpdp) awarded T57936: Performance regressions a Love token. 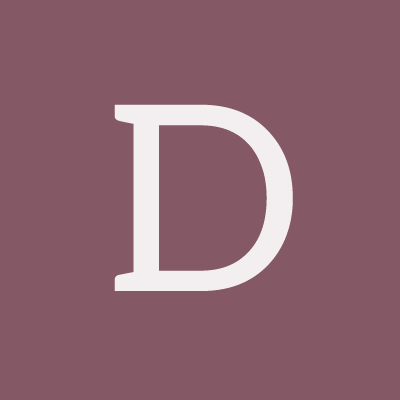 Dan Pool (dpdp) added a comment to T54943: Blender 2.8 Defaults. We can't have both that and box select. Does this mean that dragging while over an object will box select? Shouldn’t box select only trigger if your drag starts over an empty space. Dan Pool (dpdp) added a comment to T57086: Extrude along normals, Shrink/fatten etc tools issue (Offset Even option is unclickable). Also the Offset Even setting toggles on and off as you drag the Offset slider in the Redo popup. Yes. The only way to accurately adjust cursor rotation currently is snapping to mesh geometry. Dan Pool (dpdp) awarded D3787: new 'Scatter Objects' addon [WIP] a Love token. This issue also exists in the operator version of these tools (Alt+E and Alt+S). Dan Pool (dpdp) added a comment to T56649: Proposal: Blender 2.8: Wireframe, Select Through & X-Ray. Maybe it could follow some sort of logic, from simplest/less realistic to the let to most realistic/heaviest to the right, toggles separated bellow, or above. Here is a simple mockup current to the left, proposed to the right. 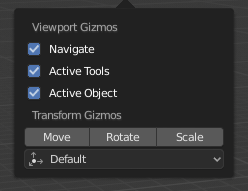 Anyway, on other apps they are doing it in a more clever way, the ability to select through a mesh is actually a function of the tool (usually just a checkbox), and I prefer it that way. Also, not sure if you guys noticed, but in the shading menu, the buttons that toggle settings (Toggle Overlays and Toggle X-Ray) don't highlight unless you are setting the toggle to TRUE. If it is already set to true, you don't get visual feedback of what item you're hovering over. I think you guys are on the right track decoupling the x-ray mode - as long as switching back and forth between wireframe and solid shading will recall the last state of the x-ray switch every time. With these and other recent changes to wireframe mode and selection functionality in general, it's never been easier to work with meshes in Blender. Great work gentlemen. Dan Pool (dpdp) awarded T55039: 2.8 UI Tools: Tool Tweaking UI a Love token. Dan Pool (dpdp) awarded T56571: Tools: Per-tool Todo List a Love token. Being able to reliably select objects by their wires is very necessary for laying out a scene for archviz. The September 9 build seems to be better, but I opened up a cafe scene from an ongoing project that has many items on a row of tables. I tried looking down the front view and selecting individual plates and forks that are scattered across the many table tops and it still was a bit of a challenge. I can get the item I want in one or two clicks now instead of it taking many clicks as it did just a few builds back, which is great. But I think this should be accomplished reliably with a single click as in the old x-ray mode as it will surely become an annoyance under tight deadlines. Dan Pool (dpdp) awarded T56649: Proposal: Blender 2.8: Wireframe, Select Through & X-Ray a Love token. Dan Pool (dpdp) awarded T56417: Make Loop-Cut into a Tool a Love token. Dan Pool (dpdp) awarded T46049: Assets Integration in Blender a Love token. Dan Pool (dpdp) awarded T54987: Implement Multi-Object Properties Editing a Love token. Dan Pool (dpdp) updated the task description for T56287: Setting Segments or Normal Strength in the new Bevel Modifier Crashes Blender. Dan Pool (dpdp) added a comment to T56287: Setting Segments or Normal Strength in the new Bevel Modifier Crashes Blender. It looks like these are the same issue. T56286 = T56287. The other wasn't posted yet when I started my bug report. I didn't post a blend file since it was a single modifier added to the default cube, but if you guys need to save that little bit of time (I know these things add up) I'm editing the post now to get one attached. I wanted to add that any other value for Normal Strength works without issue. For instance I can type 0.99 into the field and click the the right spinner value arrow and there is an instant crash. Dan Pool (dpdp) created T56287: Setting Segments or Normal Strength in the new Bevel Modifier Crashes Blender. Dan Pool (dpdp) awarded T53047: Tool System Proposal a Love token. Dan Pool (dpdp) added a comment to T56171: Issues with MS Office VBA code execution after opening Blender 2.8 for first time. No problems on my computer. I use Blender 2.8 and Excel VBA extensively here. I have some extremely complex spreadsheets that do 3d Kriging. If there was a slowdown like you're describing, those would take hours. I ran your test script and the column filled in almost instantly. I can't think of anything that would slow down a simple macro like this, though. It's very strange. Dan Pool (dpdp) added a comment to T45734: Grab, rotate, scale with basepoint. As a Blender user who works fulltime doing ArchViz and Mechanical Engineering Visualization, I can say that this is a long absent feature that is absolutely needed for people in technical rendering fields. People doing this kind of work need features like this.